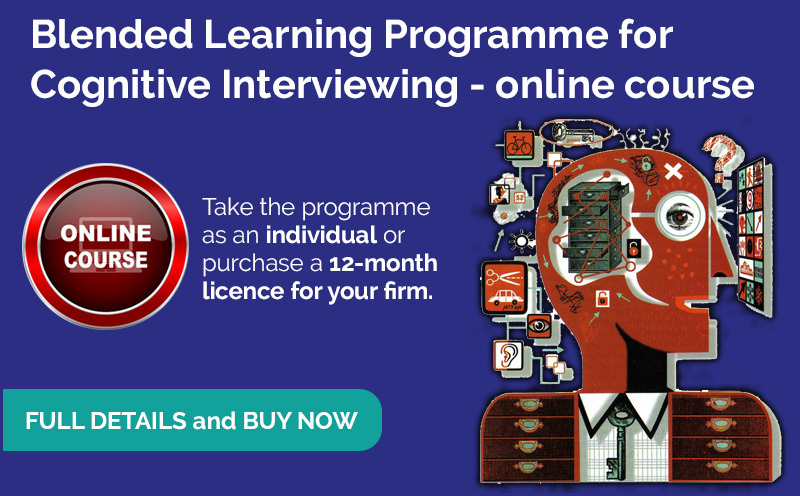 The Emphasis Directors, Geoff Coughlin and Dave Barney provide unique interview skills training and development for law firms and regulatory councils that utilises the Cognitive Interview approach. 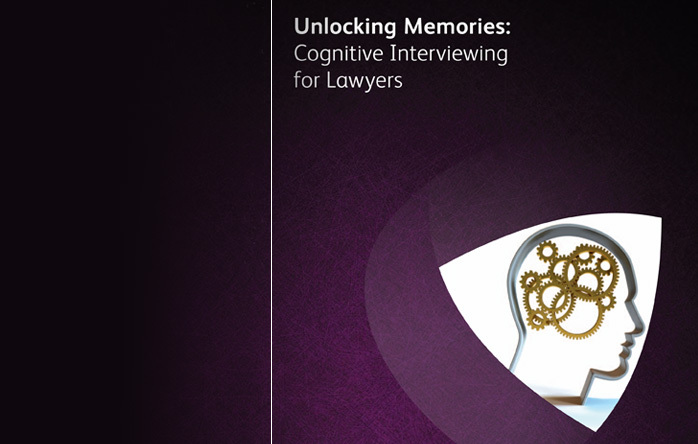 Cognitive Interviewing is a forensic approach to gathering factual information that can be readily learned by lawyers and others tasked with establishing the facts in a matter – what actually happened months and even years ago. It comprises a set of tried and tested memory-retrieval techniques that any interviewer can use to gather much more information, facts that are more accurate and less contaminated than an approach relying on traditional questions and answers. 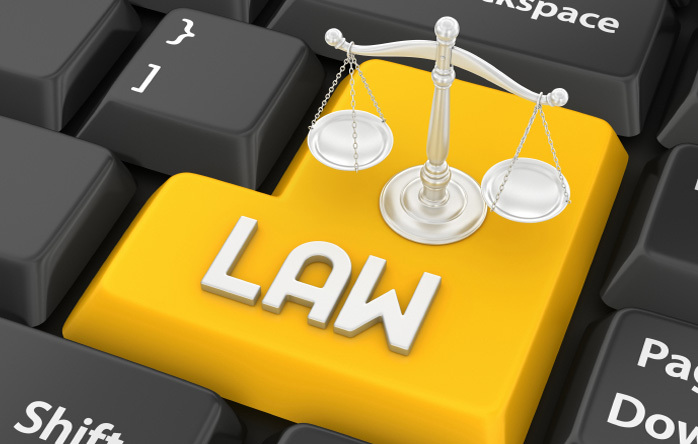 We work with many of the leading international law firms based in the UK, having introduced Cognitive Interviewing to the legal profession in 1994. 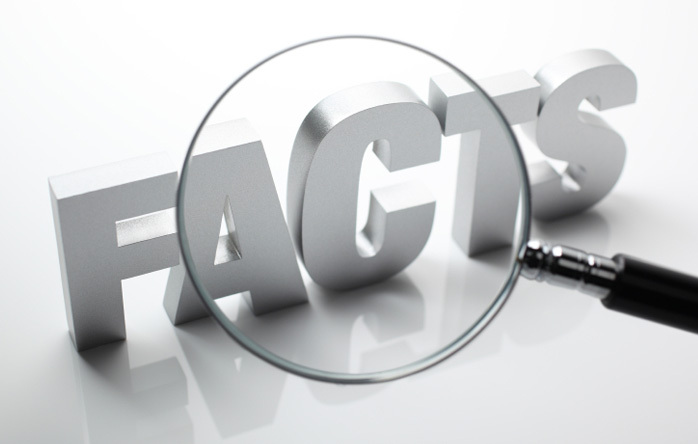 Many regulatory councils and bodies use Emphasis to design and deliver questioning skills training for panel members and chairs as well as investigative interviewing training for legal teams who carry out investigations. Offers proven techniques that can help you to build and develop a rapport with your witness, assess credibility more accurately, and elicit up to 40 per cent more reliable information for your case. The head of our dispute resolution department described this as a “training need that we didn’t know we needed”… Our lawyers have been able to use the cognitive interview techniques immediately in their cases with great results.